Every Projector Lamp - How to Fit a New Lamp. This is a general guide, detailed instruction can be found in your projector manual. If you don't have one you may be able to download it from the manufacturers website. 1) BE SURE THAT THE LAMP IS AT FAULT. The projector will indicate a fault type by a combination of flashing LEDS. Refer to the user manual. Blurry image, lines on screen, hotspots and incorrect colours are generally not indicative of a broken lamp and will not be solved by replacing the lamp. Note that once you open the box containing the lamp you will be unable to return it as new. 2) Lamp modules are generally accessed by unscrewing a small screw (or screws) holding a flap down. The flat will typically be removed and the lamp module itself can be carefully pulled out, and replaced with the new one. In some instances lamps can shatter and if this has occurred the lamp compartment should be carefully hoovered to remove any shards of glass. Be careful not to inhale any dust, and do not touch anything inside. Be careful not to handle the glass part iof your new lamp module as this may shorten the lamp life considerably. 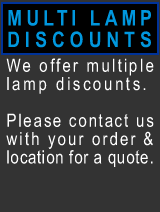 Used lamps can be recycled, see below . Replace the cover once the new lamp is place. 3) You must now clean the air filter to ensure that the projector cooling mechanisms work correctly. You should find the air intake and remove it, hoover the air filter, and replace it. You will find it secured with a screw or push clips. In in any doubt consult the user manual. Replacement filters can generally be purchased if required. 4) Reset the lamp timer. The last step is to tell the projector that a new lamp has been fitted. Usually this is a task achieved by finding the lamp timer function in the menu. If in doubt consult the user manal. 5) At this point your	projector should be now restored to a working condition complete with a new lamp, and ready to run for another 2000 hours (or more). Test thoroughly. 6) Lamps contain hazardous waste and should be recycled as per these instructions.